Here you can see the outcropping that is White Rock. wonderful view! what is that hut there? 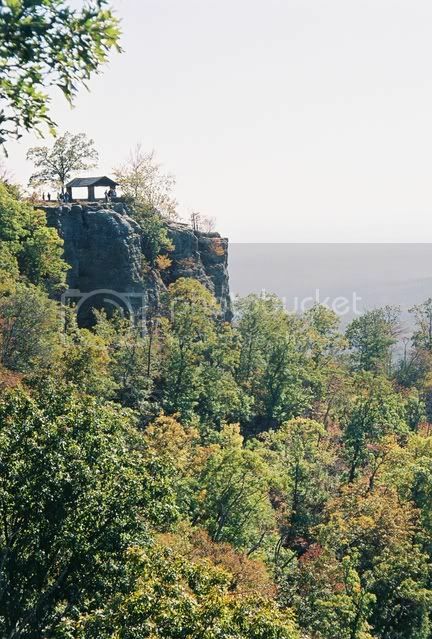 That is the main outcropping, and yes there is a stone hut built there with benches. Along the stone wall the names of local towns are written, as well as the miles it takes to get there.